House Majority Leader Kevin McCarthy appears with Maria Bartiromo to discuss the federal budget legislation, wall funding and the 2018 Mid Term elections. The 2018 fiscal year ends September 30th, President Trump is pressuring lawmakers to pass fiscal year 2019 spending bills prior to the October 1st deadline. This entry was posted in Big Government, Big Stupid Government, Decepticons, Deep State, Donald Trump, Election 2018, Legislation, media bias, President Trump, propaganda, Uncategorized. Bookmark the permalink. “They” keep pushing the 25th. It isn’t just about mental capacity you know. I see it that serious. “They” do too. No it is not just about mental capacity and it more than likely will never happen. What they are setting up is a justification as to why everything from late 2015 and earlier happened. The deep 💩 will say they were doing the right thing to protect America. It has about as much chance of succeeding as the 229 other attempts to negate the effectiveness of PT’s actions. In fact it seems a replay of earlier versions of the same ploy. Only this time the effort seems even weaker, the justifications flimsier. I’m sure the President and team are countering this nonsense as we speak, he’ll find a way to sling it back at them, he’s enormously talented in that respect. Yet another reason the rallies are so important right now. We see him every week and he’s more than fine ; he’s amazing. This it blows up their unfit narrative…..which they begin recreating the day after…..rinse and repeat. Absolutely true. I’ve said similar things to people who declare the President is “insane”, or “mentally unfit” for office. Of course there’s no way to show the President manifests any such incapacity, especially when he’s obviously functioning at such a high level easily visible to everyone. IF PRESIDENT TRUMP HAS DEFICIENCIES, WHAT THE HECK WAS WRONG WITH OBOZO BESIDES BEING A BLOOMING IDIOT? Dunno, who said (among commenters here) that PT has “deficiencies”? I don’t think anyone, in any case, no comparison with former Presidents, apples and oranges kind of thing. I always remind them that the hildebeast can’t even walk up and down a flight of stairs without help; yet she was a presidential candidate ; thus , the fitness bar was set extremely low by the dims. Yup, it’s a crock, illogical and going nowhere. It’s not just the rallies, he conducts his cabinet meetings in front of cameras as well – sure lefties – show me his insanity and incompetence. True, he is daily visible. What I like about rallies is one can see and hear him for over an hour. He’s way sharper and with it, than those accusing him of being unfit! lol! That whole 25th jibberish coming from democrats and their lapdog media is yet another example of wishful thinking & desperate dreaming by the Socialist Left. Gotta laugh every time they bring it up and … still not tired of winning. Leftists have always accused their opposition of being mentally ill to get rid of them. It was a favorite tactic used by Stalinists. Absolutely correct !Since I started voting back in 76 ,Ford was called an imbecile that didn’t wear his helmet enough ,clumsy oaf. Nixon was labeled a crook. Reagan was senile who fell asleep in cabinet meetings HW Bush was labeled out of touch with the regular people we all remember the scanner incident in the supermarket !W Bush was labeled an alcoholic ,cokehead ,draft Dodger ,who was also a moron! and now the great president Trump, our great president Trump, is unfit for office, and not only that he’s a traitor! During that same time I remember Kennedy being Camelot also a war hero. LBJ was a great leader who didn’t take any Guff from anybody! Jimmy Carter was a naval commander who is also a nuclear genius! Bill Clinton was a Rhodes Scholar and a good old boy! And of course Barack Obama was the Messiah!! The media and the Dems, who are basically the same ,have been shoving this stuff down our throats since I was 5 years old. Since I can remember!! Perfect summary. I remember all the same things. Worse, in those days we had nothing like Fox, Rush, Hannity, etc to counter it. Obviously CTH is far better, but not seen by quite so many. People are far more aware. In the future dictionaries, when the word ‘projection’ is defined her quote would be a perfect example of how projection works. We know the “media” aim to cause trouble, stir up controversy (even when there is none), keep people agitated, nothing new about that. But what’s really troubling is the oppositionality of Congress just for the sake of opposing the President. Sadly nothing new about that either. McCarthy is asked about the mid-term elections coming up soon and he concurs about their importance. While the pattern has been for the incumbent party to lose seats, McCarthy points out that when the economy has been improving for 6 consecutive quarters the incumbent party has gained seats. That predicts Republicans will hold/increase their position in Congress. Nonetheless the constant grind of negativity from Democrats and their MSM sycophants is tedious and wearing. But not so wearing that it would cause me to “drop out” of voting and contributing to campaigns this year—contrary to the hopes of the Democrats counting on that being the effect of their abysmally puerile and irritating tactics. Yes. Some time ago it caused me to cease and desist from watching any and all MSM news channels except OANN infrequently. I do watch most of the clips of good interviews by FNC and FBN hosts when they are presented herein by Sundance and commenters. Haven’t watched TV (except for the occasional cooking show…) for 17 years, especially avoided the “news”, there hasn’t been “news” on TV for even longer. Whether we watch it or not we still are “slimed” by TV via the ‘net and the clips that are commented on. Don’t watch many of them but once in a while I’ll see the Sunday interview shows and other pieces referred to here and on other sites. That’s more than enough TV for me. As the Fox header said, 25 R seats are in the districts that Crooked won. 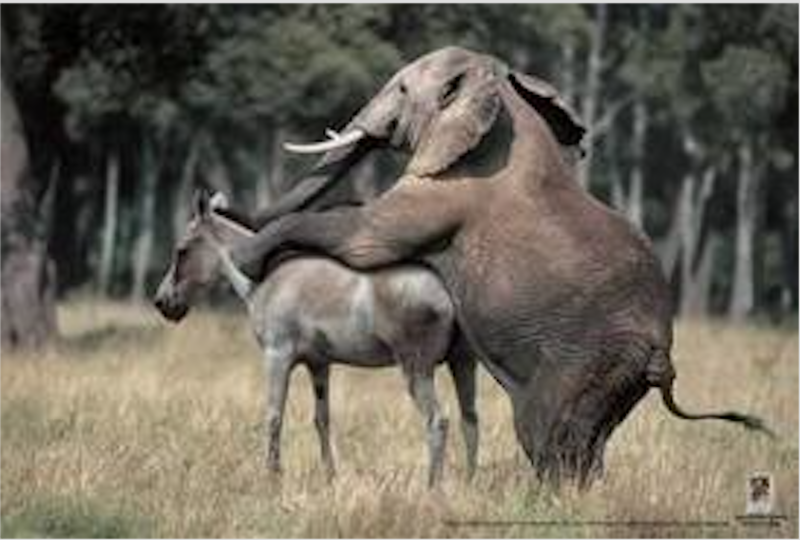 I think the mass RINO exodus from the House is at least partially due to their desire to surrender it to Democrats. Let’s wait to hear from someone about how many D’s hold seats in districts the President won. I haven’t researched that question but I’m guessing at least as many as the 25 number cited. IOW the “pickups” may well balance and I suspect overall R’s will come out even or a bit ahead. But I confess I’m no expert—among the experts let the debates rage on. Wrong! The mass RINO exit is due to them cutting and running. This is PDJT’s party now and after the midterms when the Republicans keep the house PDJT will be free to pursue all the corrupt congress people. As well as those deep 💩 💩 in the DOJ/FBI and elsewhere. This is likely a SPLITTER 2.0 STRATEGY by the Globalists, through the USCOC. • Pay RINOS to Retire-to-Lobby. • Undercut their Republican Successors with October Surprises … coordinated with DNC. • Team RINO Retirees with DNC during Lame Duck to IMPEACH President Trump. The issue: Can they override a Presidential Veto for Obstructionalist Legislation to kneecap Executive Authority or Overrun America with Illegals? 1. The so called RINOS may have something to hide and PDJT will know about it so no “golden parachutes.” And do as I say or exposure and/or jail. 2. Tricky here as PDJT needs clean candidates to weather an Oct surprise while PDJT already has any dirt on dim challengers. 3. Still need the votes to convict and remove. Though the process might discredit PDJT and slow his agenda down. Overriding a Presidential Veto is almost as difficult as Conviction. One thing that is never mentioned anymore is the pocket veto. Let the bill expire without action. Override cannot be brought up until after the expiration date bringing it closer if not into the new congress. Gonna be an exciting 4 months, and probably longer. I wondered why PDJT did not do that with the “Russia sanctions legislation” (usurping some of his duties) that was foisted upon him early in his term, passed by veto proof over-riding majorities. Congress now owns Russia and any ramifications. I fail to see how your statement makes mine “wrong.” I see no contradiction. I was thinking that. A Rino can want to get out of Dodge, seek a higher office and also wish a Dems takes their vacated seat, all at the same time. They are multi_tasking rat finks. lol. They wanted her to win 2016. I like the idea of having two separate clean bills – one for abolishing federal funding for sanctuary cities, and the other for funding to build the wall. Both clean bills with no add on’s, and force an up or down vote for the record, now, before the mid-term elections. A Jim Jordan Speakership would do exactly that, but, we all know there’s too many corrupt Uniparty republicans still in the house right now…..maybe in January. I sure hope Kevin “Not Ready for MAGA” McCarthy is not elected as the Speaker. I’d prefer Jim Jordan or Steve Scales. First order of business is GOP needs to hold House. Disagree. McCarthy was a Trump supporter prior to the convention, and was a Trump Delegate from California. Please do not damn those who do not deserve it. I believe he is swampy as heck. case in point, he was scheduled to take over for Boenher prior to his gaffe about Benghazi and Hillary. McCarthy is a Trump Supporter only recently, and he takers EVERY opportunity to be in the photos where Trump is. And by the way, his gaffe about Benghazi and Hillary was only ONE of the reasons he bowed out as a Boehner replacement. If McCarthy wants to be Speaker, he needs to tell his fellow RINOs to start campaigning in Ernest for every competitive Congress District. Otherwise he’ll be doing what Pelosi says……in tne House, the minority party is powerless. He is presenting as if he is the pending speaker based on arrogance or what he ‘knows’. RINO-in-waiting. I don’t like or teust him. More of the same. I agree….I’m sick and tired of McCarthy. He has same arrogance as Justine and Freeland…wonder if they all are cousins. I refused to listen to McCarthy, but would vote for him if he was the only other choice. He is a pretend Trump supporter. But like a Treeper said upthread, first order of the business is to make sure GOP is in control of Congress in 2019, then we can nitpick against the Rinos later. Married McCarthy was having an affair with a married Congresswoman at the time Boehner jumped ship; I remember reading. Several members of Congress said they would expose the affair as I recall. Insofar as Obama’s failings as President led to the rejection of his designated successor Hillary Clinton and the election of Donald Trump …. He is responsible for this great economy, albeit indirectly. To the MSM, any political leader who doesn’t read a boring script from a teleprompter is not fit for office. Funny how I never see Ryan interviewed. Maybe I’ve avoided it, I don’t know. But evidently he is a very lame lame duck. Seldom has so promising a politician so quickly come to nothing. Just as well – the man has no credibility left after at least two interviews with Sean Hannity the past 5-6 yrs. I’ve been around druggies for more then 1/2 century, Obama is pinned: a speed enhancer of some kind. Too wired to be cocaine. OK, so this is off topic, but 7 people were stabbed in Paris, in an apparently random attack, and IMMEDIATELY, the authorities announce that it is not terror-related. I bring this up on this thread because of how the overall picture of politics affects each and every one of us. While Kevin McCarthy’s policies may or may not directly have an impact on you or I, people need to dissect what their elected officials stand for and support, and whether or not they adversely impact their safety and well-being. No doubt, more details will come out regarding the horrific incident in Paris, but if bleeding-heart policies endangered people, someone needs to answer for it. All politicians should have their feet held to the fire, and if they don’t stand for the interests of their constituents, they need to be run out of town. MAGA, or take a hike!!! Be stumbling on ourselves complimenting this presidency. Not that some dont, my point is we’re on defense, this should be an end zone dance.